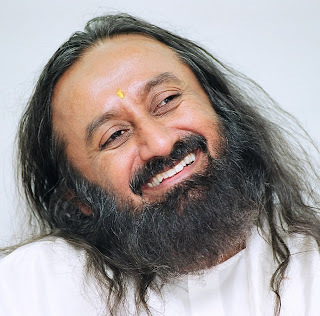 His Holiness +Sri Sri Ravi Shankar is a renowned spiritual leader and multi-faceted humanitarian whose mission of uniting the world into a violence-free family has inspired millions of people worldwide. The icon of non-violence and universal human values, Sri Sri seeks global peace through service and dialog. In 1981, Sri Sri started the Art of Living Foundation, an international nonprofit educational and humanitarian organization. The Foundation, now active in more than 140 countries, offers educational and self-development programs designed to eliminate stress and foster a sense of well-being. In Europe and the United States, the Foundation's programs are helping inner city youth turn away from gang violence, drugs and alcohol. Sri Sri's Prison Programs have helped transform the lives of an estimated 150,000 inmates around the world. In 1997, Sri Sri founded the International Association for Human Values, a humanitarian nonprofit organization that advances human values in political, economic, industrial, and social spheres. In South Asia, South Africa, and Latin America, the Association's sustainable development programs have reached more than 30,000 rural communities. While his self development programs have popularized traditionally exclusive ancient techniques, Sri Sri's social initiatives address an array of issues such as conflict resolution, disaster and trauma relief, prisoner rehabilitation, youth leadership, women's empowerment, female foeticide, child labor, and access to education. In Kashmir and Sri Lanka, Sri Sri is working to further dialogue between opposing parties to resolve the conflicts peacefully. Sri Sri travels to more than 40 countries a year to share his message of social responsibility, and that all great spiritual traditions share common goals and values. His teachings of love, practical wisdom, and service promote harmony among people, and encourage individuals to follow their chosen spiritual path, while honoring other paths.